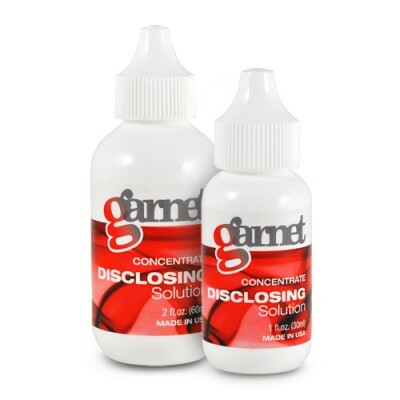 • Garnet is a concentrated, fast acting disclosing solution. • It discloses residual plaque on the teeth along the gum line. • Apply with a cotton swab and observe where additional brushing and flossing is needed.